Zevrix is praised for its fast and effective customer support. All users are entitled to unlimited free e-mail tech support (including those who use our product trials). All Zevrix products offer instant access to technical support built-in: just click the Support button to send a support request, check for updates, open user guide and more. 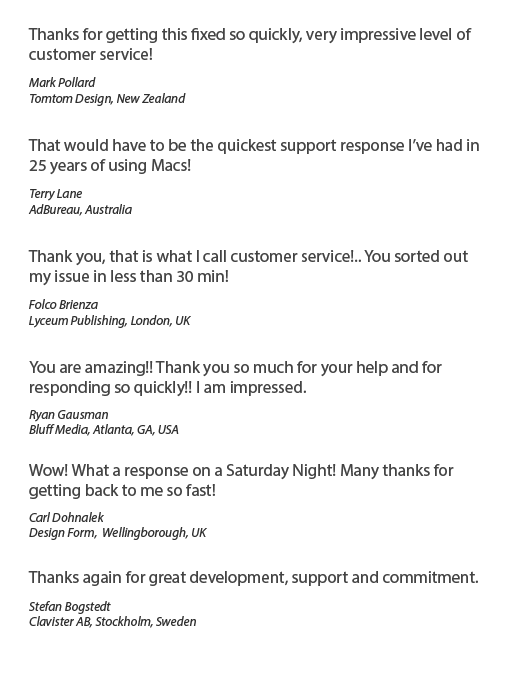 Tech support requests answered within one business day (but usually much faster). To submit a support request, please send e-mail or use the form below. Check our Support Knowledge Base for info on known issues, tips and FAQ.